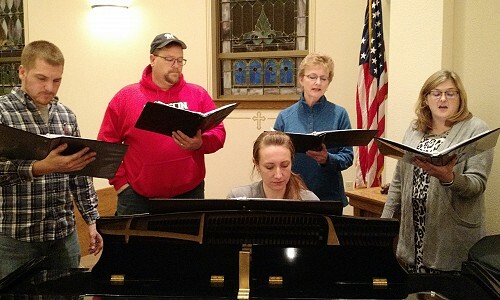 The Worship Choir consists of adults (teen, college, and higher) who practice on Monday nights at 7:00 pm. We alternate singing in our worship services with the children of our school, junior choir and Sunday School. We thank these talented people for sharing their blessings in beautifying our services. If you enjoy singing, come and join our choir as we sing praises to God! There are many ways music enhances worship, whether the singer leads a hymn verse or a solo, or adding voices together in parts. These opportunities arise regularly and we are always interested in utilizing talents to serve the Lord. 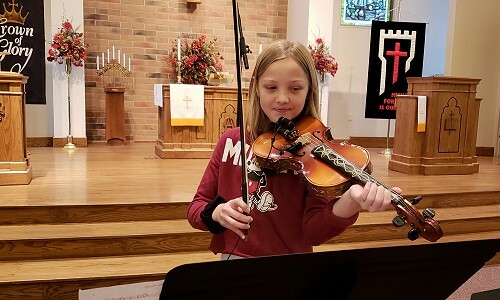 Whether you are competent in the guitar, percussion, flute, viola, violin, trumpet, piano, organ, or other, we try to put your gifts together and utilize them throughout the year. 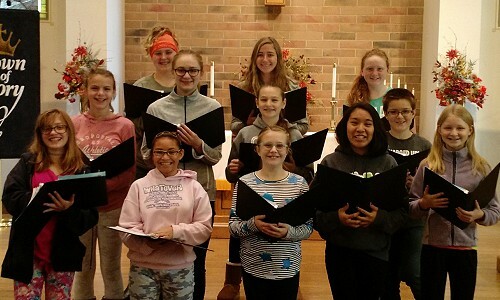 Our St. Paul’s Sunday School actively sings at various times of the year in our worship services. The Sunday School is considered one large chorus. We do not have separate choirs for each class. Times and dates for singing are published on the appropriate calendars. Mrs. Dawn Johnson is our choir director. 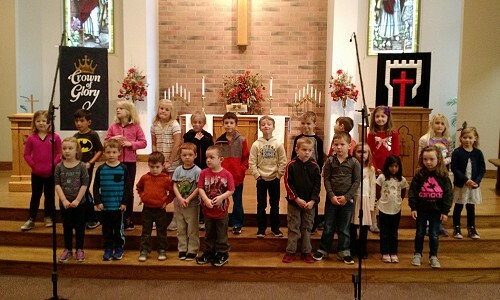 Each classroom at St. Paul’s Lutheran School sings regularly for worship throughout the school year. 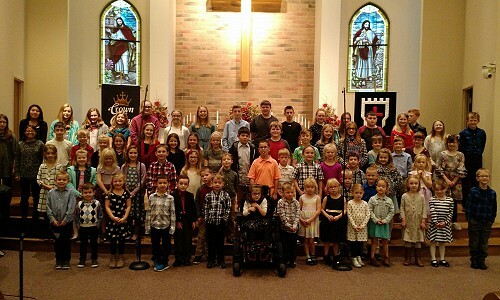 They also participate in our yearly children’s Christmas service, a unique opportunity for the youth of our congregation to present the most amazing and beautiful piece of our world’s history: the birth of our Savior, Jesus.